San Ramon Real Estate is a wonderful place to buy a home. San Ramon is close to all the famous technology companies in the Silicon Valley such as Google, Facebook, Oracle, Twitter, Uber, etc. San Ramon is approx. 40 miles from San Francisco, approx. 35 miles to San Jose, and approx. 43 miles to Palo Alto. San Ramon is also located close to many famous areas in Northern California. In approx. 3 1/2 hours you can be near the best ski resorts in Lake Tahoe, and in a little over 1 hour, you can be on the beaches of Santa Cruz or Capitola. San Ramon is ranked as the nation’s second safest among towns with a population over 50,000. San Ramon offers award winning schools. The majority of the population buying homes in San Ramon are families moving to San Ramon for the great schools. Many of the largest Silicon Valley companies have buses that stop in San Ramon to pick up employees and drive them to work. The City buses are great, and you are 5 minutes to the Dublin/Pleasanton Bart station that can take you to San Francisco. San Ramon has its own hospital with excellent doctors and a first class facility- San Ramon Regional Medical Center. San Ramon is a major business center with major companies’ headquarters located in San Ramon’s Bishop Ranch. Here are the top 5 employers in San Ramon: Chevron USA Inc. (3600 employees), Bank of the West (1600 employees), AT&T (1227 employees), Robert Half International (1000 employees), Accenture LLP (750 employees), and SAP. Also, some of the major tech companies are looking for space in Bishop Ranch to house their East Bay technology, workers. 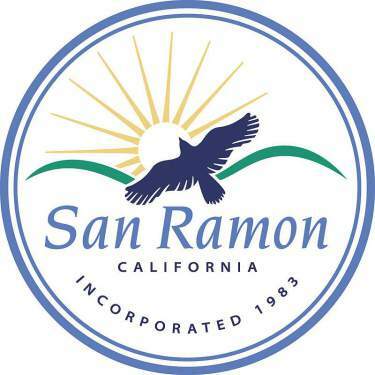 San Ramon will have access to a new city center approx. the size of a football field – with a hotel, retail, dining, cinema, and over 100,000 sq. ft. of restaurant space. San Ramon has over 59 parks, 2 community centers and plenty of open space to walk and hike. San Ramon is known for its year-round great weather-not too hot, not too cold. San Ramon still has four seasons and If you play golf you’ll discover you can play on one of its two public courses any time of year. The people in San Ramon are very friendly. It is a very diverse, highly educated community. San Ramon is a great place to buy a home where you can enjoy raising your family. Your real estate agent is the best source of information about the local community and real estate topics. Give Tory Castillo a call today at 925-718-6658 to learn more about local areas, discuss selling a house, or tour available homes for sale.